Contribution to the Dutch art newspaper 'HTV de IJsberg'. The issue 'Mental Architecture — Former Utopian Buildings' (June 2009) was curated by Jean-Bernhard Koeman. The article 'Brasília welcomes its first Martians. Should a capital city express the identity of its nation?' 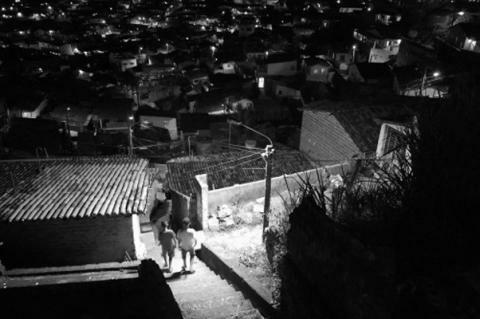 explores the contrast between life in favela and 'asfalto’, where middle class people live, as seen in the country’s urban language and landscape. Should a capital city express the identity of its nation? Brasília (1956), the capital of Brazil, is a ‘purpose-built for government’ capital such as Washington DC (1800), Canberra (1927), Islamabad (1960) and Naypyidaw (2005). Under the reign of president Juscelino Kubit-schek, it was decided to move the capital of Brazil from the lively city of Rio to a place closer to the geographical centre of the country. The new political and administrative capital would help develop the economy of the region — a dry savannah-like plateau. A skyline of high ‘edificios’ shows off its smart appearance of perfectly symmetrical and shiny windows and sober colours. The powerful grandeur of the vertical architecture of these buildings, well organised into clusters — spread all over the city — displays a certain do-minance. 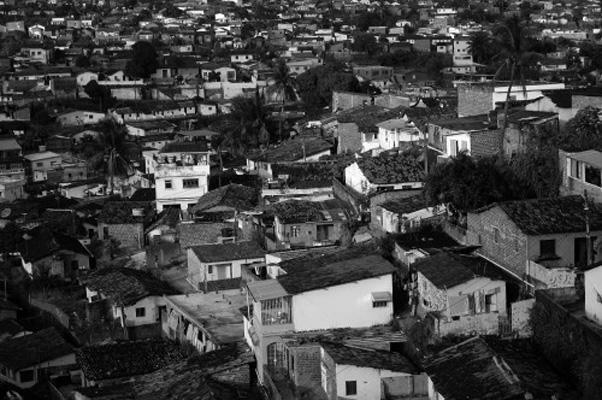 At their base, there is a robust metal fence with camera surveillance and a concierge, that shuts out and secludes an unknown layer of chaos en waste: a bunch of small slums made of stone, wood or carton, popping up like mushrooms, that have been jumbled together in an incoherent and bright-coloured palette. There is no architecture here. These ‘moros’ are missing every possible form of architectural interference. At night, the illuminated windows of the high ‘edificios’ measure themselves with the stars in the dark skies and from their isolated position, they look down on the squir-ming sinister scenes in the overcrowded fave-las. 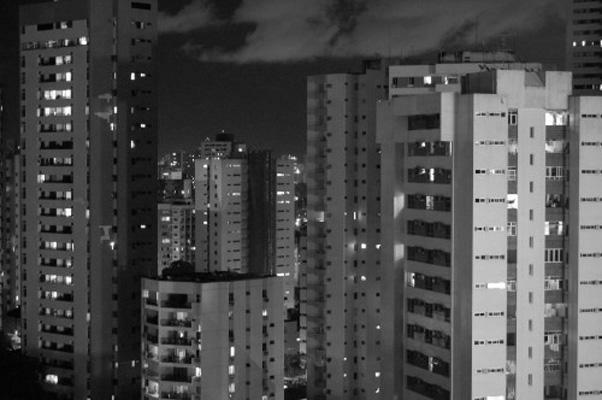 This is the face of Brazilian cities such as Rio, São Paulo, Recife, Belém, Fortaleze … The contrast between the great number of poor people — who live in the popular neighbour-hoods — and the small percentage of rich citizens — who live in the skyscrapers or ‘edificios’ — constitutes the Brazilian identity. Brasília was conceived as a working city with an extremely organised urban development plan by Lucio Costa and visual showpieces by Oscar Niemeyer. The motto of the capital — 'venturis ventis' (to the coming winds) — suggests that the city was built with the prospect of a long future ahead. 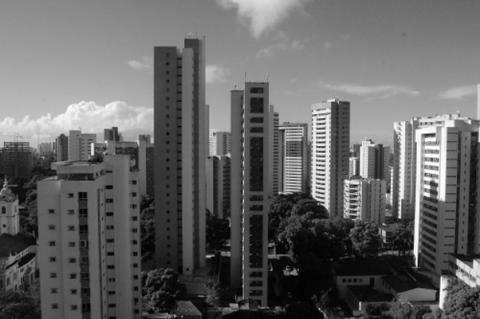 Was this new urbanistically designed and modern-looking cityscape — a visual outsider compared to other Brazilian cities — designed in anticipation of a new Brazilian identity that wants to deal with its image of poor versus rich? Or does this urbanistic plan in the shape of an aeroplane serve as a distinguishing mark to welcome Martians once all the original inhabitants have fled this characterless and uninhabitable city?